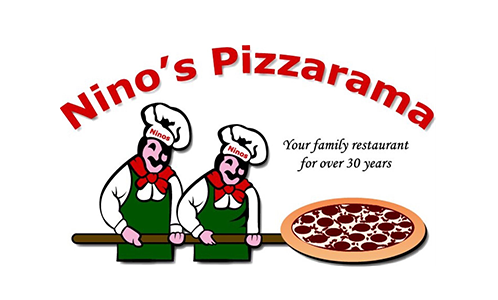 Online ordering menu for Ninos Pizzarama. Nino's Pizzarama is a family restaurant serving the area with great Italian food; it has become a local landmark and meeting place. A graduation. A holiday. A business even. Whatever the reason or for no reason at all, we all want to be in the presence of great food and close friends. You have to try our savory gourmet pizzas and calzones. Don't forget to ask for our wraps and desserts. We are located right next to the cross of Main St and Pennhurst Rd. Just a seconds from Cornestone Family Church and Linfield Sports Park. Order online for delivery or carryout!